ConceptDraw DIAGRAM is a powerful diagramming and vector drawing software. Extended with Floor Plans Solution from the Building Plans area, ConceptDraw DIAGRAM became the ideal software to help you create a Floor Plan for any premise quick and easy. Nothing could be easy than create a Floor Plan using the ready-to-use vector objects from the numerous libraries of the Floor Plans solution. All Floor Plans solution's libraries are available for ConceptDraw DIAGRAM users in the program and also from the ConceptDraw STORE, just as predesigned templates and samples. Any offered object from these libraries can be dragged to the document and used at your own discretion. This Floor Plan was created in ConceptDraw DIAGRAM using the Floor Plans solution from the Building Plans area of ConceptDraw Solution Park. It visually shows the detailed Hotel Floor Plan, all hotel rooms and their furniture arrangement. An experienced user spent 20 minutes creating this sample. 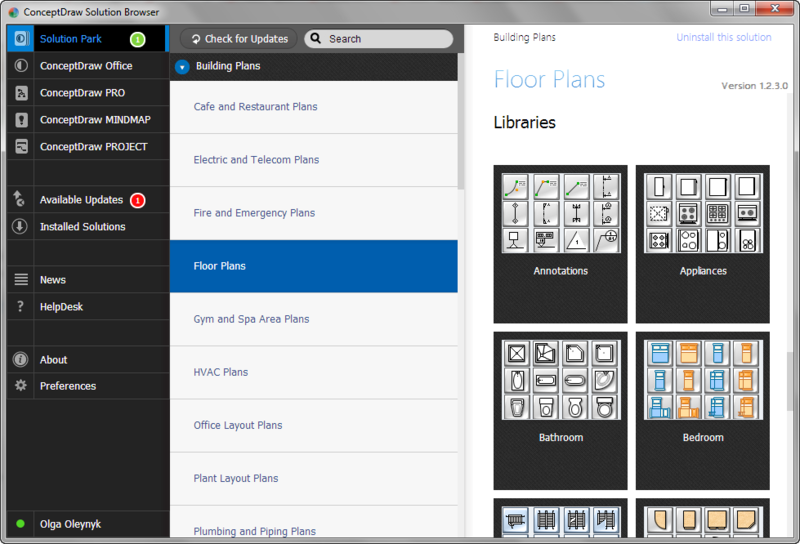 Create a Floor Plan of any complexity in ConceptDraw DIAGRAM and make sure that it's very easy and quick. 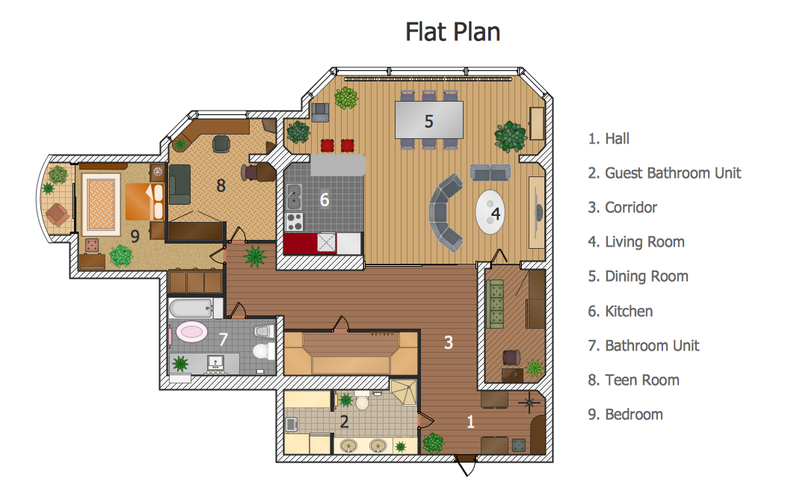 The Floor Plan designed with ConceptDraw DIAGRAM is vector graphic documents and is available for reviewing, modifying, converting to a variety of formats (image, HTML, PDF file, MS PowerPoint Presentation, Adobe Flash or MS Visio), printing and send via e-mail in one moment.